The Snozzle has been a powerful firefighting tool for many fire departments. Oshkosh has made key updates and enhancements over the last few years that make the Snozzle even more effective and user-friendly. Here are 4 key Snozzle enhancements! The original head of the Snozzle was larger than the current version and could be difficult to maneuver in tight quarters. Operators also couldn’t fit the Snozzle head inside of the aircraft. Oshkosh has redesigned the Snozzle head to fit inside an aircraft doorway. This is a huge improvement. 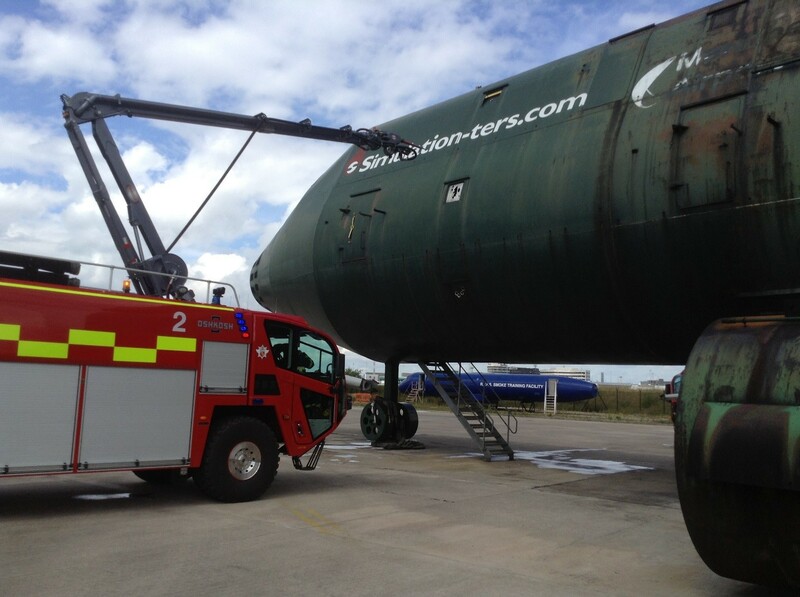 Now the Snozzle operator can spray water and firefighting agents inside of the aircraft. Operators can also use the Snozzle camera inside a fuselage, eliminating the need to send a firefighter inside the aircraft. 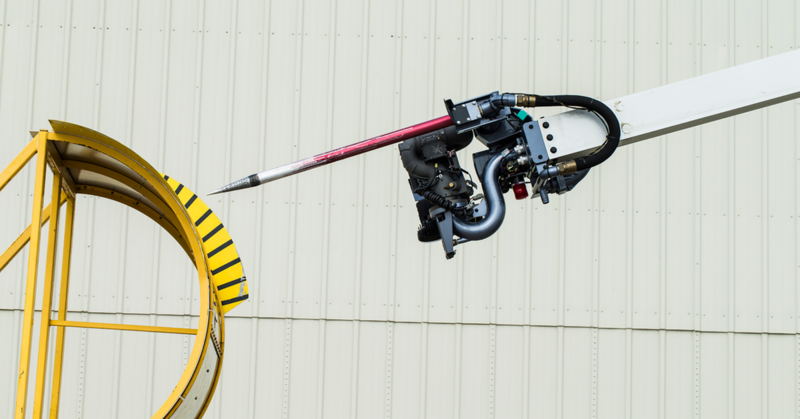 Controls for the tip and boom of the Snozzle have become more user-friendly and precise. The Snozzle now features proportional joystick controls that help the Snozzle operator pierce an object at the correct angle. The Snozzle joystick now has the same feel and functionality as the Striker’s turret joysticks. This helps the Snozzle seamlessly integrate into the Striker and minimizes confusion between Snozzle and turret controls. The new Oshkosh K-Factor system allows semi-aided piercing tip alignment, making sure that the fuselage is pierced at the exact angle and location that the user sees fit. The K-Factor system uses ultrasonic sensors and inclinometers to provide a better understanding of where the piercing tip is positioned. The K-Factor system also provides information on optimal piercing tip and boom angles. The operator can navigate at peak performance during low-visibility scenarios. These conditions include smoke, fog, rain, and nighttime operations. Operators had to reset the original Snozzle’s piercing tip position after each use. The Snozzle now features an auto-reset function automatically sets the piercing tip at the default position after you pierce a fuselage. This saves the operator time and energy, providing extra convenience for your department. The Snozzle was a game changer in the firefighting industry right out of the gate. Snozzle head updates, user control optimization, situational awareness, and auto-reset enhancements have made the Snozzle an even more powerful tool for any fire department. The future looks bright for the technological innovations in the firefighting industry!